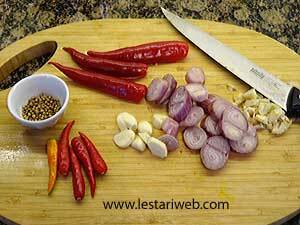 This is a simple version of Indonesian Satay whithout skewers. Good for you who doesn't have the time and space to cook something complicated ;-). 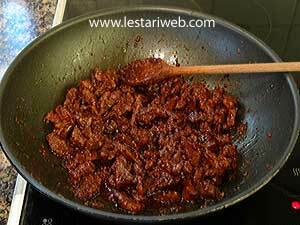 What you need is only fried pan or wok and your satay will be ready within an hour! 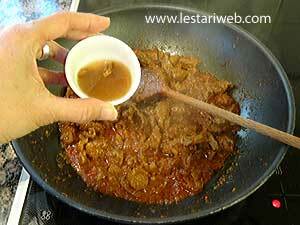 No need to prepare extra sauce since the paste and sauce is already corporated into the recipe. 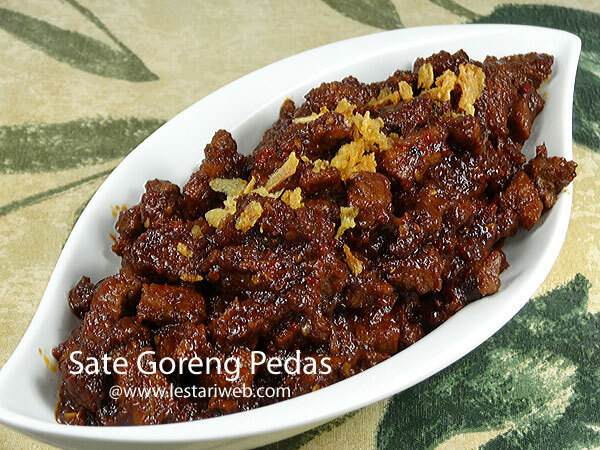 ATTENTION: This is spicy satay for chilli lover. But if you can't stand the chilli peppers just skip the bird eye chili from the recipe. It still taste good. 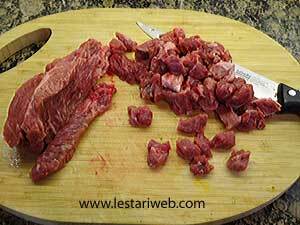 Slice the beef into small cubes form approximately 1-2 cm each side. Set aside. Prepare all ingredients for the paste. If necessary slice or cut in smaller pieces to help the grinding process. 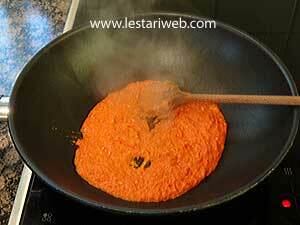 Blend the spice ingredients with a mortar or blender into smooth paste. 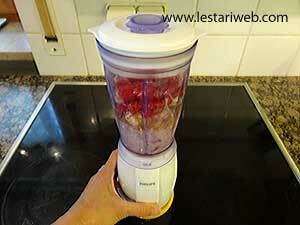 If necessary add a little oil into the blender to help the blending process. 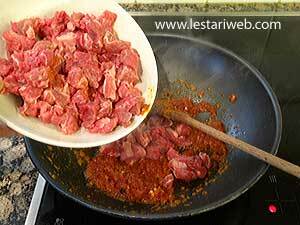 Add the beef and stir to mix. Keep stiring until the meat becomes harder and it's colour turns to white. Add the tamarind water and sugar. 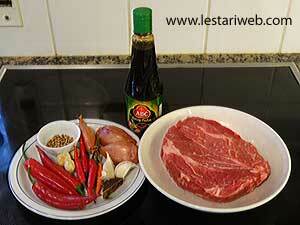 Adjust the heat into medium and cook until the meat becomes tender. Stir occationally. 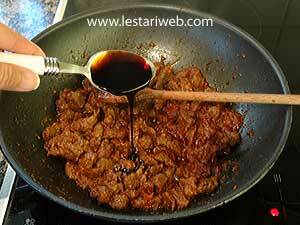 Finally add the sweet soy sauce or kecap manis and stir well. 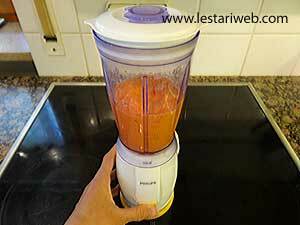 Adjust the taste, if necessary add salt or sugar to taste. Garnish with fried shallots/onions. Serve hot with rice. If preferred you can replace the beef with lamb. It tastes also good. 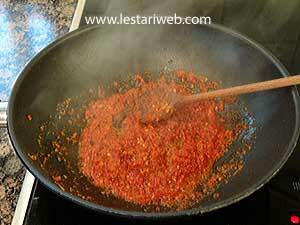 If necessary adjust the amount of chili to your preference & taste.